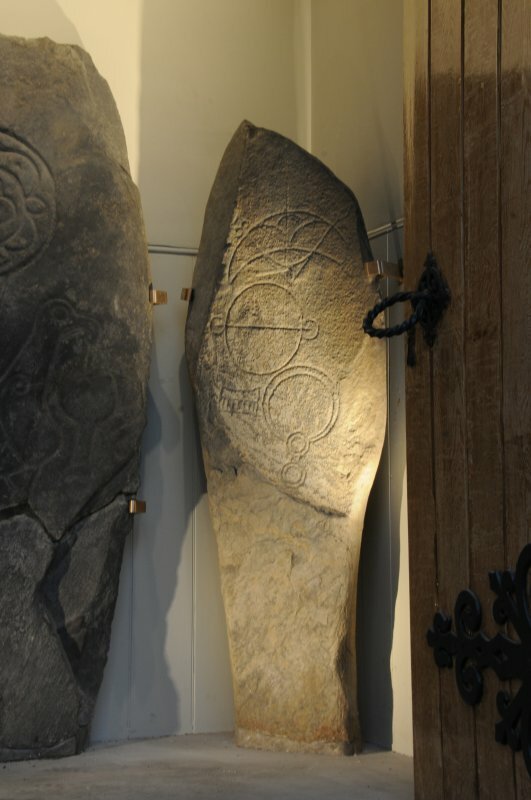 View of Inveravon no.2 Pictish symbol stone. 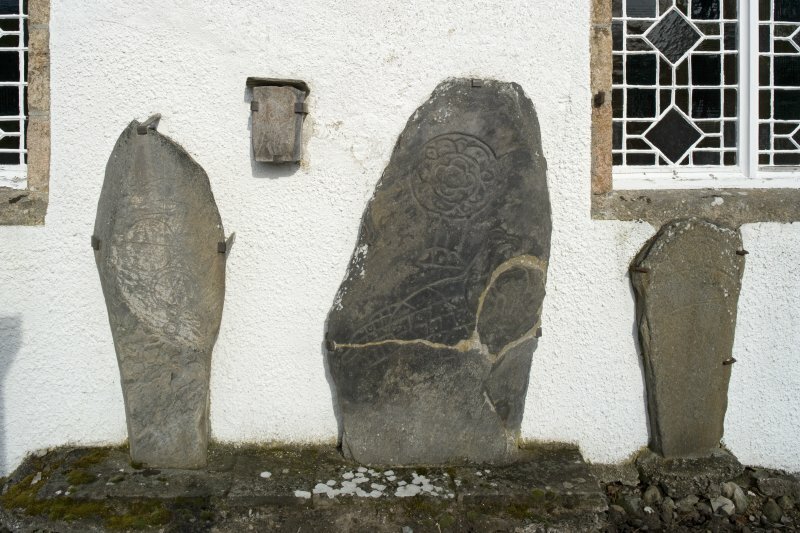 A Pictish Symbol Stone attached to the wall of Inveravon Parish Church has three symbols carved onto the upper portion, where the rock surface has been removed. 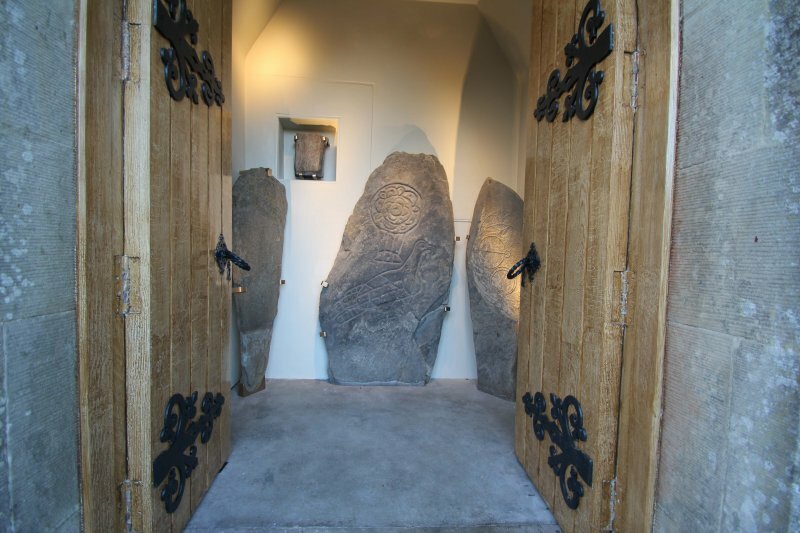 The stone is a Class I type, which dates from between the sixth and eighth centuries AD. The topmost depiction is a crescent and V-rod. The origins of this symbol have not been explained. It is a crescent, overlain by what appears to be an arrow, bent in the middle to create the V-shape. Below the crescent and V-rod is a symbol known as the triple ring, which is a large circle, with two smaller ones at either side, with a line drawn across all three rings. The final set of symbols is a mirror and comb. These are almost always depicted alongside another pair of dominant symbols. 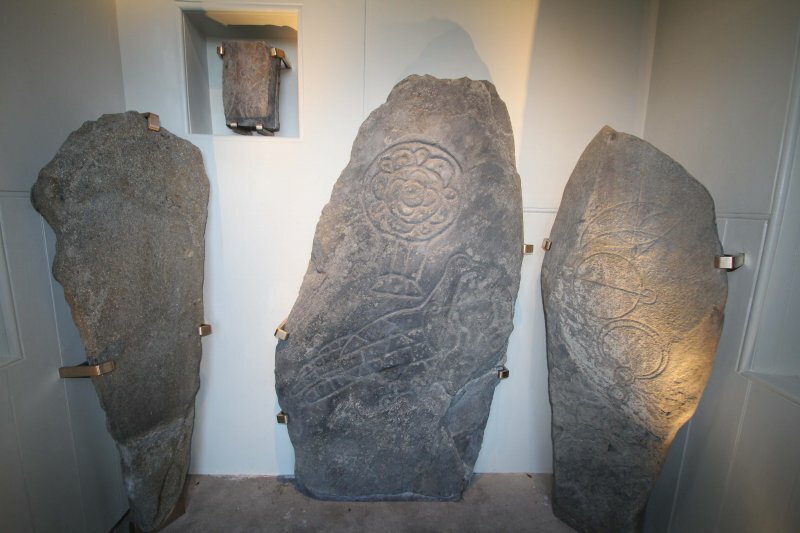 The meanings of the symbols, and the combinations in which they were occur, are the subject of much discussion. 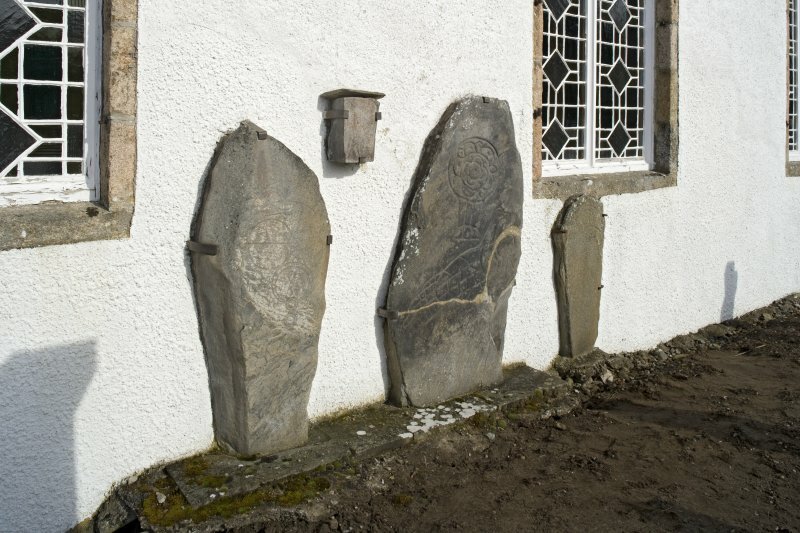 The four Inveravon Class I Incised Pictish Symbol stones, dating from perhaps the 6th-7th Century AD, were set against the south wall of Inveravon Church. The Church is a Category B Listed Building dating from 1806 but sitting on and near the remains of earlier Churches: the earliest existing record of St Peters Church Inveravon dating back to 1108. 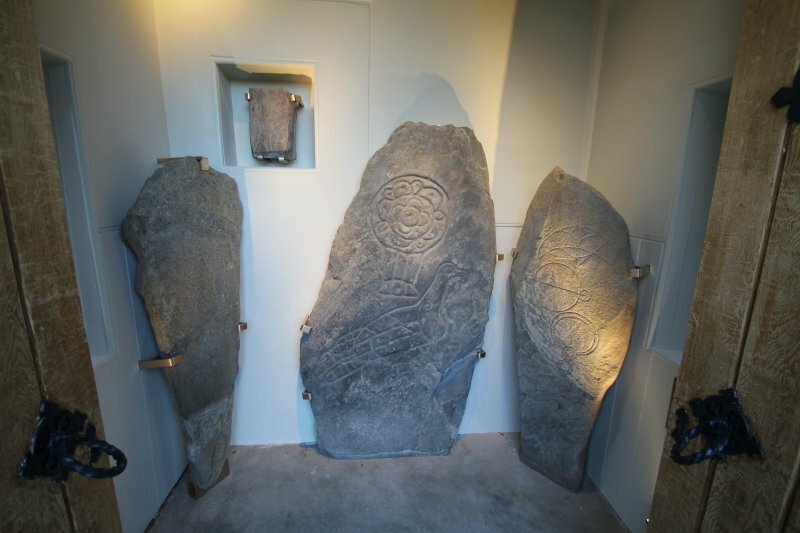 Found below and adjacent to the present Church, they include representations of the ‘Pictish Beast’, the most iconic and enigmatic of all the Pictish Symbols. 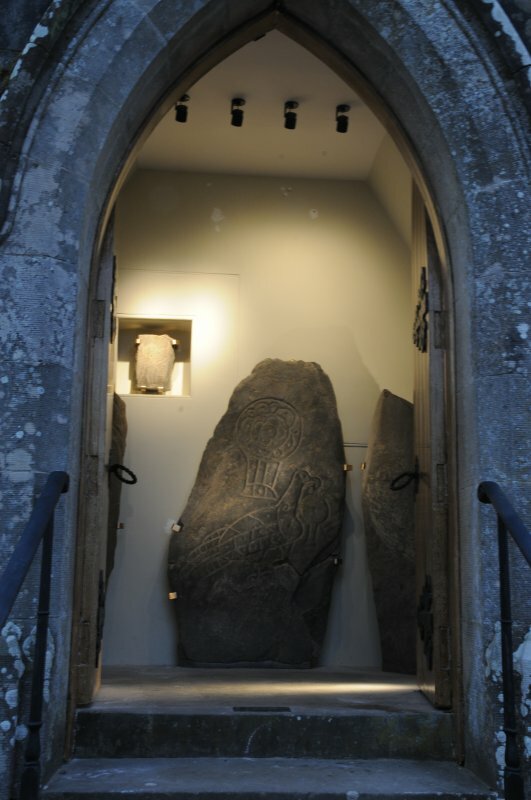 The stones are Statutory Monuments. 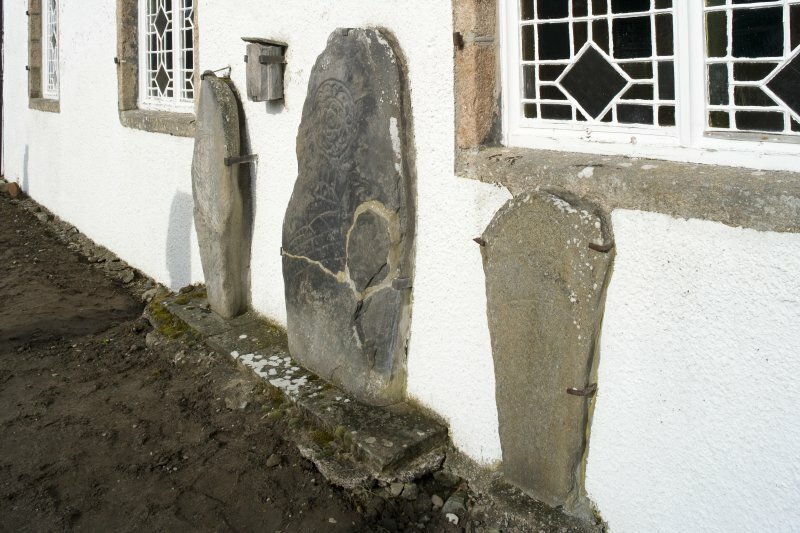 There were problems with the stones being exposed to the freeze thaw cycle in this exposed Highland location. 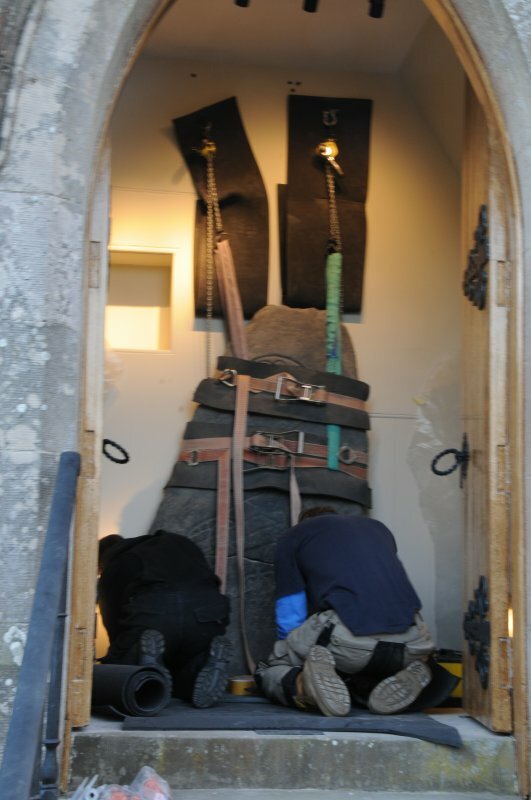 The mounting of the stones was also problematic causing damp ingress to the Church itself through the South Wall. 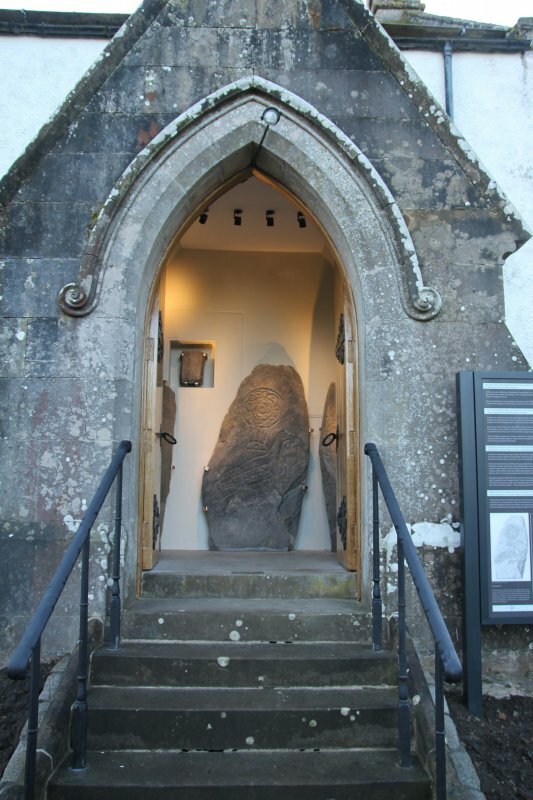 After consultations with Historic Scotland, Tomintoul Glenlivit & Inveravon Church developed proposals to conserve the Pictish Stones and relocate them in the 1876 North Porch (an early work by the Architect Alexander Marshall Mackenzie). No. 2. 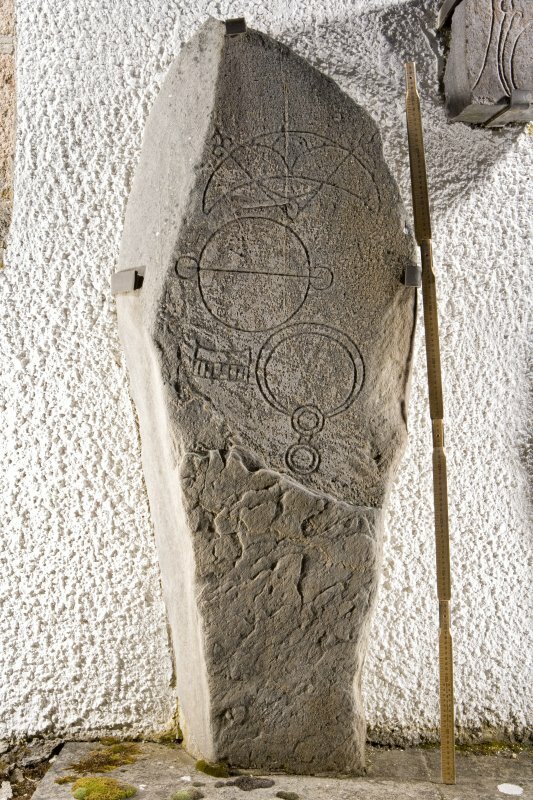 The second Inveravon stone lies in the middle of the churchyard SE of No. 1. 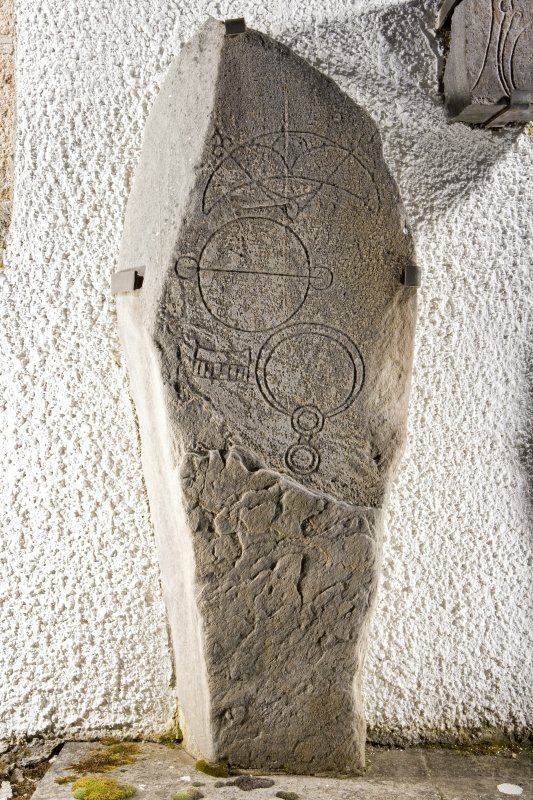 Made of hard gneiss, it is of an irregular wedge shape, 1.5m x 0.46m (at its maximum width), and bears the crescent and V-rod, triple ring, and comb and mirror symbols. 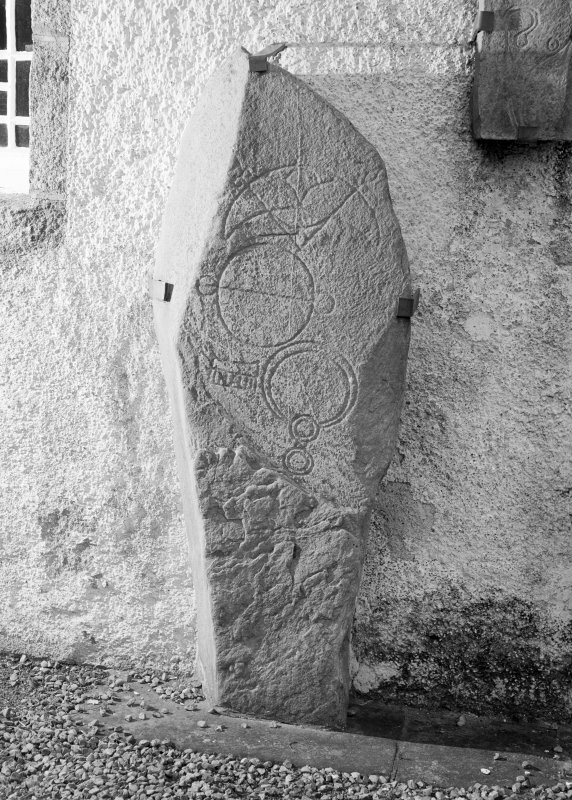 Proc Soc Antiq Scot 1882; J R Allen and J Anderson 1903; RCAHMS 1985.